Painted with blue and red filters, on a Big Max handheld flashlight. Background was desaturated to remove the intense lighting from an overhead High Pressure Sodium streetlight. "Jason and Deborah Sheldon have separately, and now as a team, pursued their passion for creating - Jason as a sculptor and Deborah as a painter. Their collaboration is a natural blending of their ideas and talents. 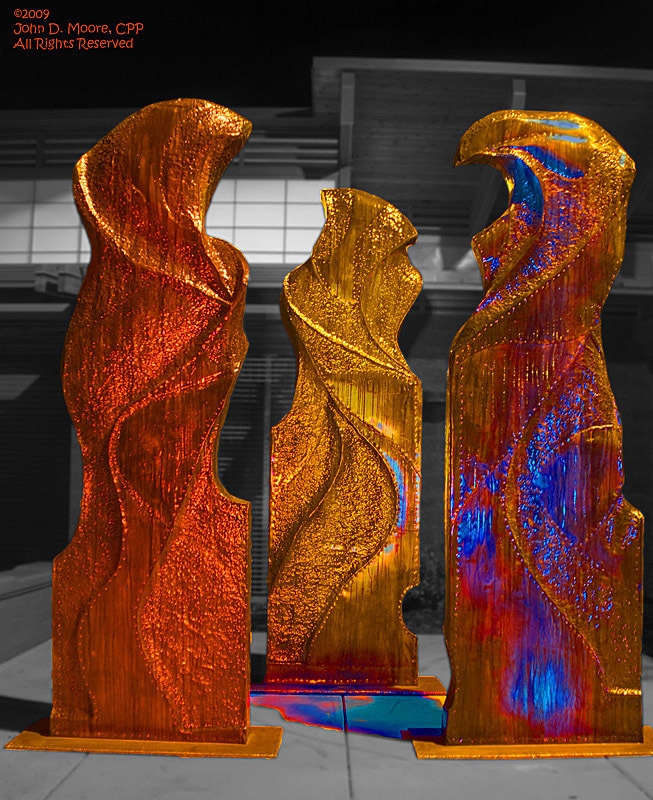 For the Shadle Aquatic Center, Jason and Deborah created three abstract sculptural forms that have been installed next to the main entrance to the center. The spiral forms are ten feet tall and resemble waves. The artists’ concept is for the pieces to encourage interaction with the surface and colors."